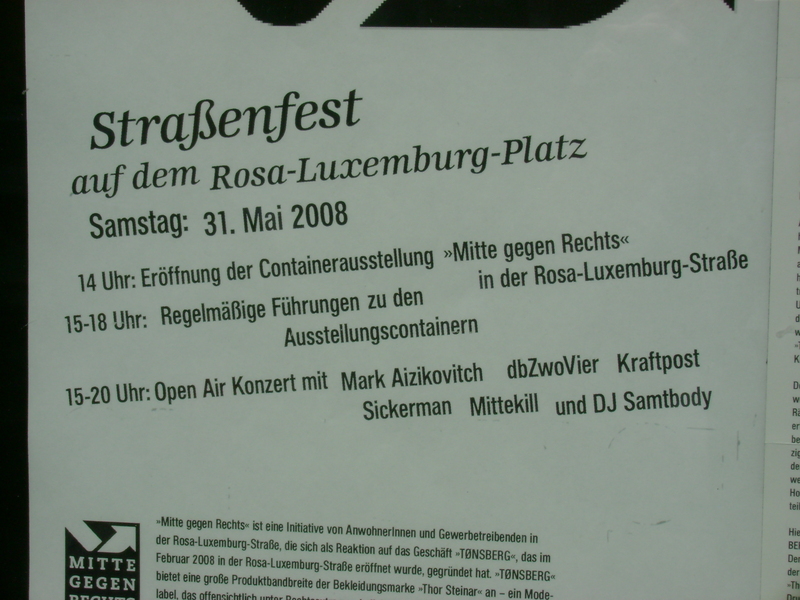 Rosa Luxemburg neighborhood is well organized now in it’s battle against right wing extremism – see post Don’t buy from the Nazi and Thor Steinar II. 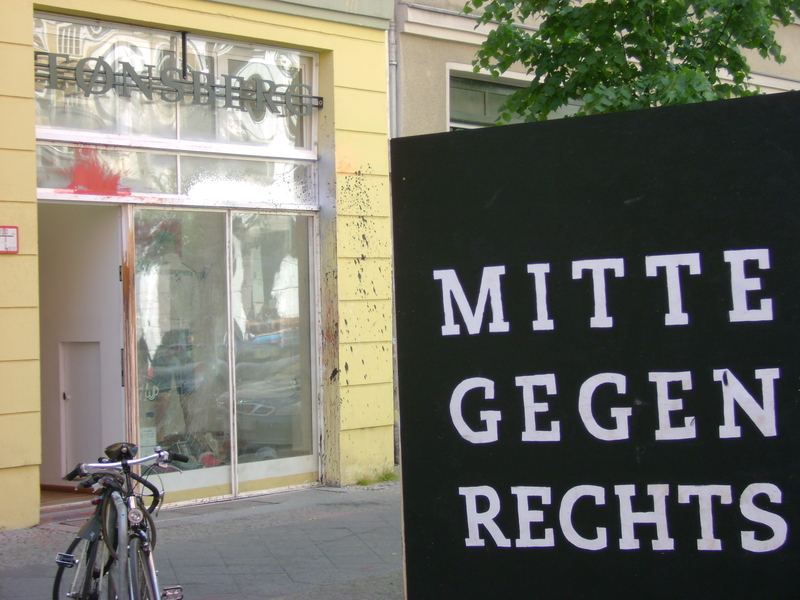 Tomorrow, Saturday, May 31 a festival is planned to introduce the Mitte Gegen Rechts initiative to the public. 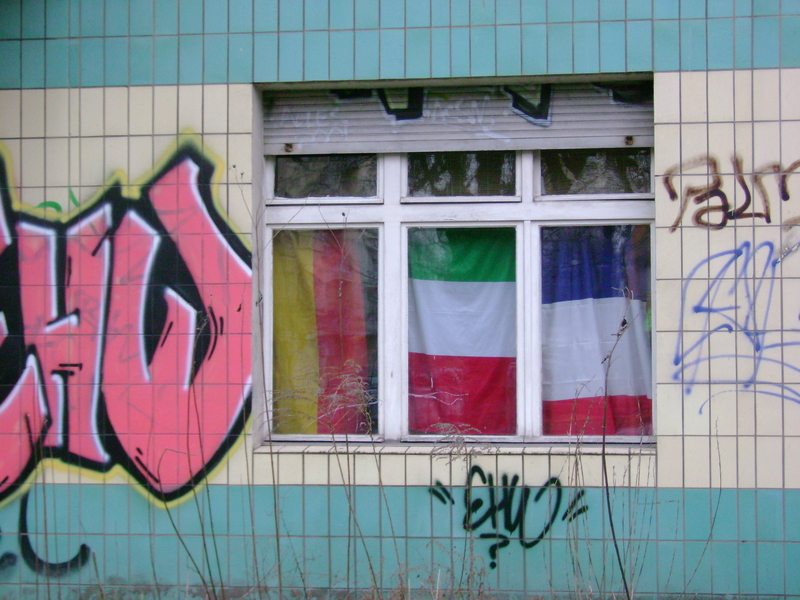 In this context the tazblog article of Burkhard Schröder is a great example for a disgusting cynicism which is present among a lot of left wing intellectuals: citizens, who get organized to fight against the presence of neonazis in their neighborhood are discredited as “Gutmenschen” whose initiative is inappropriate. Would it be more appropriate to do nothing and just let things go? It’s 125 years Feuerwache Oderberger Straße this year. 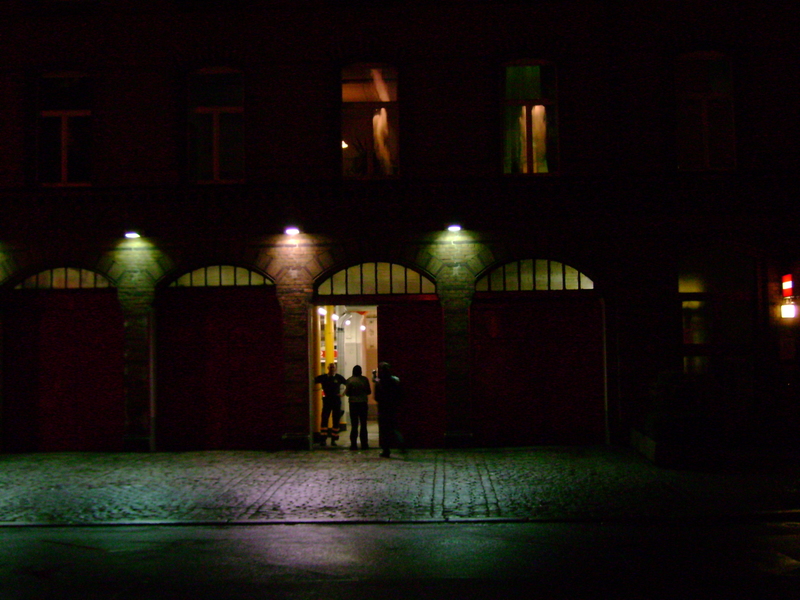 Congratulation Germanys oldest fire station. The official birthday party will take place July, 5th. This is for Jochen Nestler. For more information see post Denk bloß nicht ich heule – in memoriam Jochen Nestler. 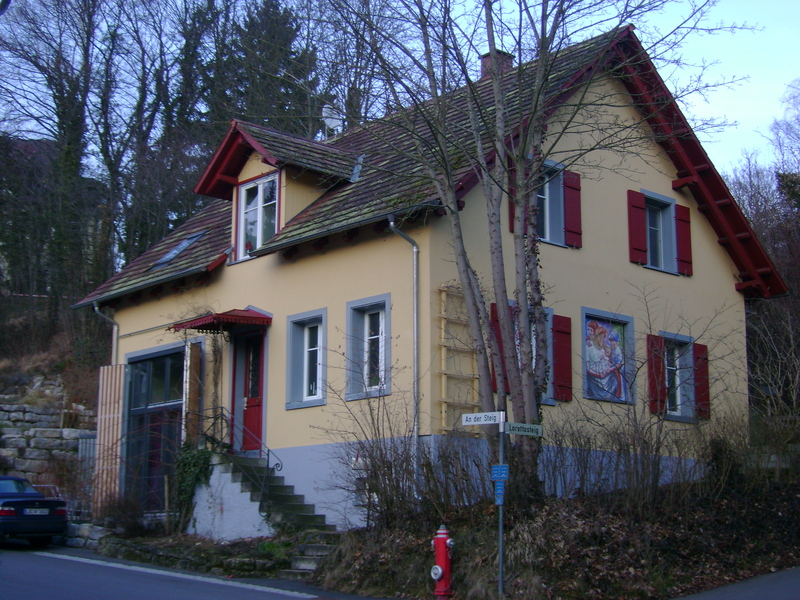 This is QRT’s house in Konstanz. Here he grew up and lived till he went to Berlin in the middle of the 1980ies (For those of you who haven’t got any idea who QRT is, see post HERE COMES QRT). I strolled around QRT’s house recently and what came out is this little film. 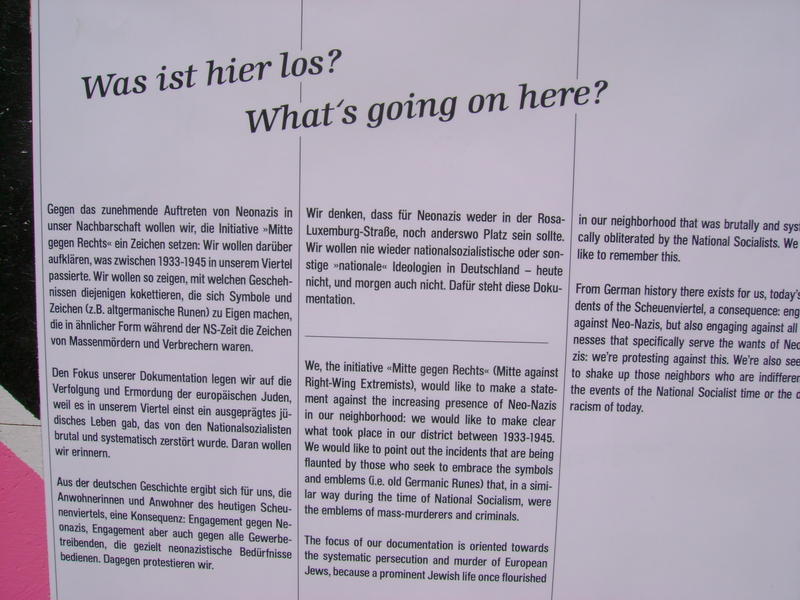 The text is taken out of QRT’s essay about serial killing: JAGDSAISON – Serial Killing in Berlin, Tekknologic Tekknowledge Tekgnosis, Merve Verlag Berlin 1999.